Evaluate Legal Issues. Get Paid. Take surveys on legal issues presented by real attorneys that deal with real legal cases. Have your opinion help shape and form the way the legal system works. 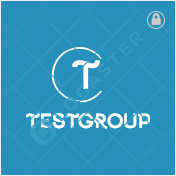 Sign up to join the TestGroup participant mailing list. When cases become available a proposal will be e-mailed to all members of the list. The cases are available on a first come basis with only a limited amount of participants able to evaluate each individual case. Participants will earn rewards based upon the type of case, time commitment and type of feedback given on each case. Rewards earned can then be redeemed for payments through PayPal or for available gift cards. None of your information will be shared with any third parties.